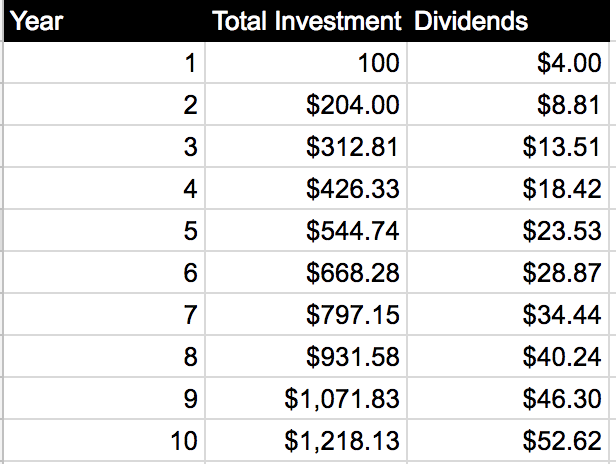 In this second article of the series, I want to keep exploring some metrics to show the evolution of our investment keeping in mind different scenarios. 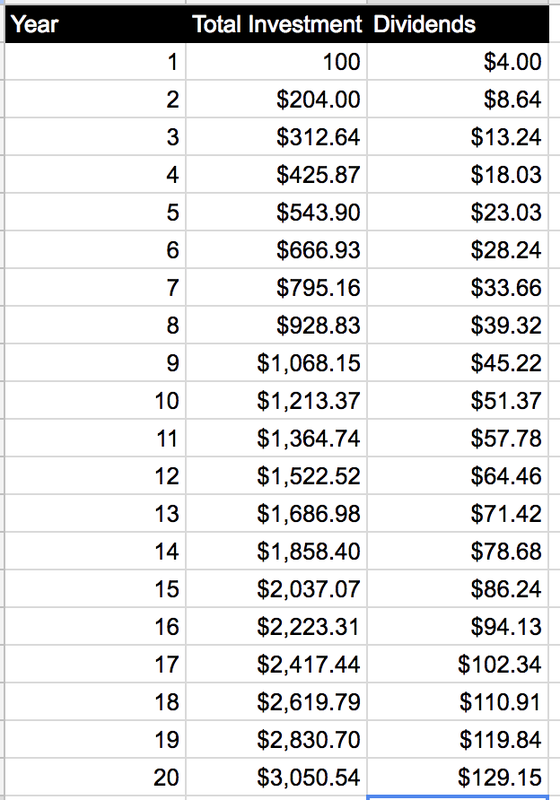 This time I will be including screenshots from a Google Spreadsheet instead of displaying text tables. Some readers notify me that they do not render properly in some devices. Now, let’s introduce two more variables to this equation: inflation and the increasing dividends. Inflation is the natural process where the cost of goods and services increase over time. Each year we pay more for our consumption, with some items increasing more than others (lately, it is common to see the prices of houses increasing over the inflation in big cities). Inflation will be different depending on the geographical area where you are yourself: from the timid inflation in Europe, contained under 2% for many years, to extreme events such in Venezuela, where the country is currently experience a hyperinflation. In the latest, money loses value over the course of a day. A steady inflation within standard parameters (no more than 3%) it is healthy and stimulates the economy forward by increasing prices. The opposite phenomenon, where prices decrease, it is called deflation. To consider a society is undergoing a deflation period, this must have happened for at least 2 semesters, according to the IMF definition. There are several reasons for this to happen, but the most frequent one is a fall in demand due to different factors. The consequences of a deflation are not mild: because the demand fall, companies’ benefit fall as well, so they have to decrease prices. Consequently, they decrease costs to catch up with the reduced income, which leads to an increase in unemployment, which in turn creates a vicious circle in which demand continues to fall. 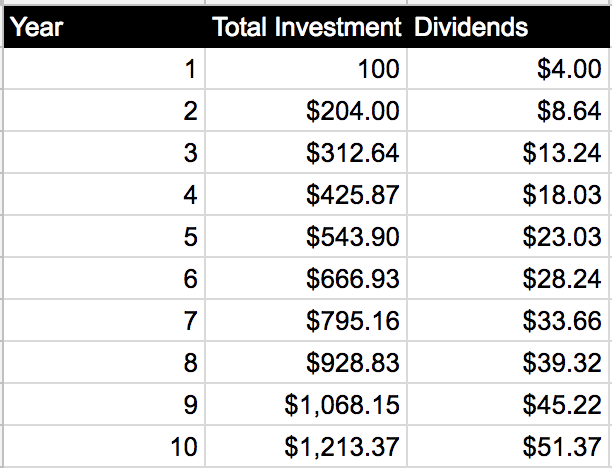 Good companies increase their dividends over time. There is a term that has been coined for this, the “Dividends Aristocrats”, which refers to the companies that have been increasing dividend steadily (or not reducing them) for a certain number of years. This is very important, because it means that over time our income will keep increasing over inflation, and we can use very effectively the power of compound interest. 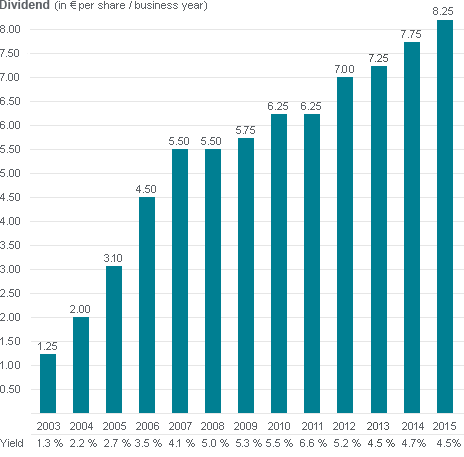 Munich RE has not reduced the dividend since 1969. And since then, most of the year have increased it. 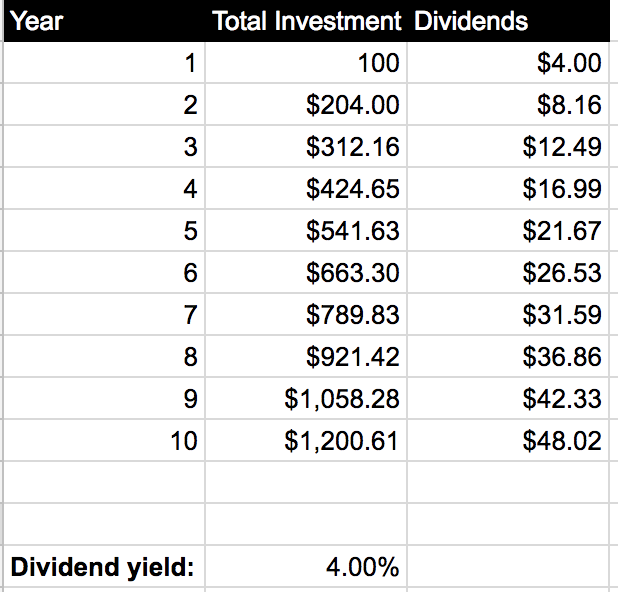 In this graph, the dividend evolution is comprised to 2003–2015, but you can imagine how powerful this is in the long term. If we also analyze the evolution between years, some of them have been spectacular (from 2003 to 2004, the dividend increased by 62%!) Even the years when it did not increase too much, it did it by a good number (from 2014 to 2015, the dividend increased by 6,5%). There are more reasons why this is important (during market crashes, dividend historically do behave much better than the stock itself, and they quickly recover and increase). Let’s consider, for the purpose of this calculation, an increase in dividends of 8%. There are two certain things in life: death and taxes. No matter where you live, you will have to pay taxes over your capital. Some countries will tax differently, some countries might exempt a part of your capital, you could use some taxing strategies to decrease the amount of taxes you pay… Let’s assume a cut on 20% on your dividends as a nice average. Let’s get real, and use some real-world data. How much money can you save per year, and how much money do you need to live? Let’s imagine you can save 24.000$ per year, and you need 12.000$. One of the examples I am targetting this article toward software engineers is because, on average, they earn a higher salary than the standard worker. Depending on your region and field, this number might be more or less achievable. Also, I have determined 12.000$ because that is a decent amount of cash to live for an expatriate in Vietnam. Another of the peculiarities from Software Engineers is that we can easily move between countries, hence decreasing our life costs by a factor. If you can live more frugally, you will achieve the FI earlier. If you catch in your first years investing a stock-low, you will achieve FI earlier. On the other hand, if you start investing in a market high you will achieve FI later. I would like to remark that the only objective here is not to achieve FI. For some folks, having a sustained side income, without the need to retire, might be enough. This is something you need to weight based on your life and your circumstances. I do not consider appropriate to retire (if that is what you want to do) when your net dividends just cover your living expenses. It is better to wait until you do it by a factor of 1.5, in case things turn wrong. If there is a market crash and dividends decrease during this time, you will still have some margin to operate. 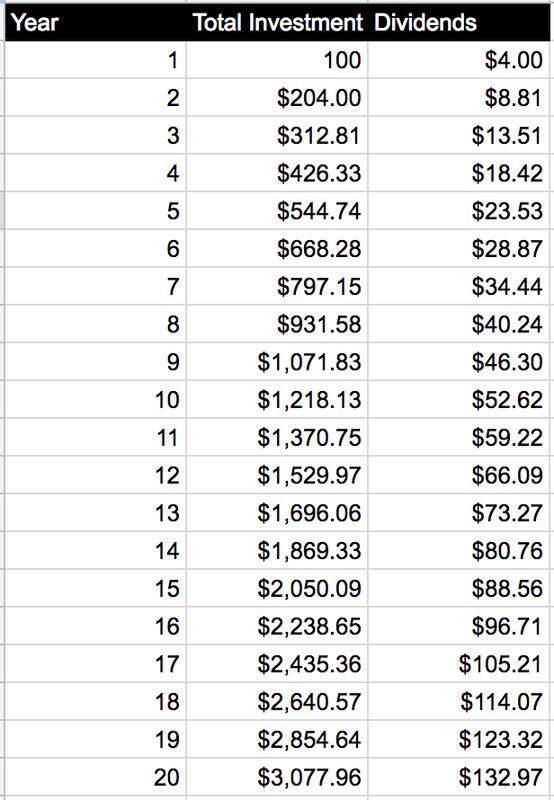 So, if you need 12.000$ a year to life, do not fully quit your work until you are making 18.000$ from dividends. Adjust this number depend on your risk tolerance, or age. There are two key factors to consider when you start investing: your age, and your periodic contribution. 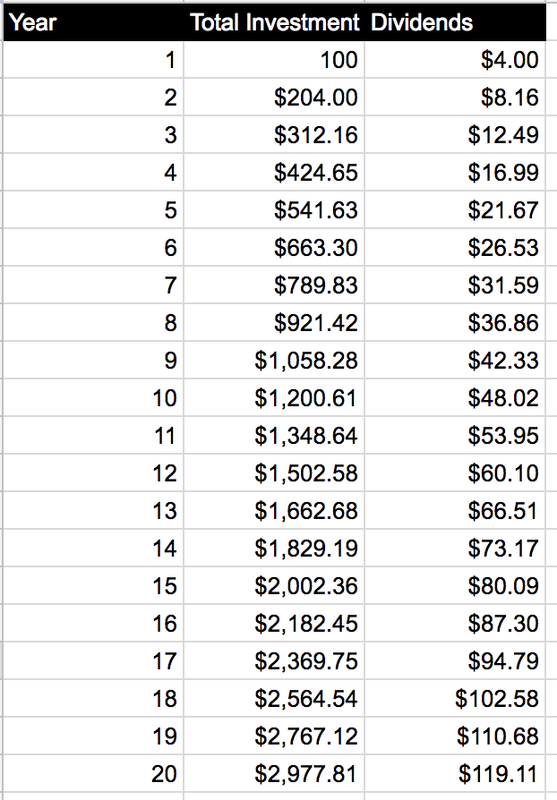 The younger you are, the longer you have to start compounding. That means, your risk tolerance is higher, since you will be able to recover from crashes and dark periods. 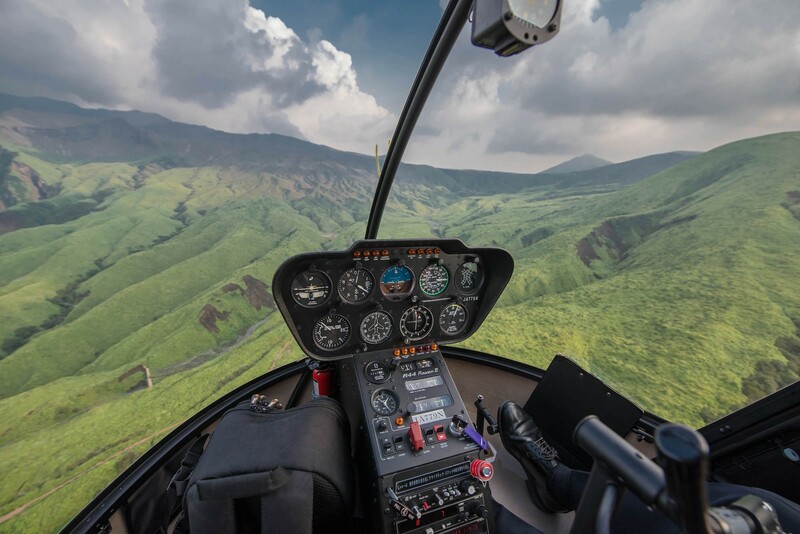 On the other hand, if you are old you want to take less risky decisions, and maybe even combining your stock investment with the security of bonds. We will deal with this in other chapter. The other factor is the periodic contribution. The more you contribute, the earlier you will be able to reach FI. The ideal case is to start young, and investing aggressively. You need to adapt this depending on your personal situation. 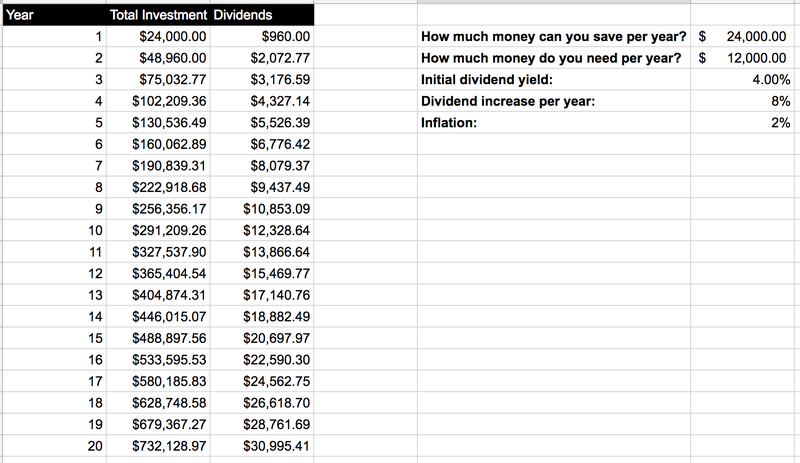 All the data shown here is based on estimated averages (taxing, dividend yield, dividend increase, inflation…). Index Funds relay often in using this average to get close to the market evolution. Essentially, a fund will just replicate an indexed market with no intelligence and charge you a fee. When a fund replicate an index (NASDAQ, DAX, etc…) they replicate the good and the bad companies. This is important to understand when you are investing long-term, and that is one of the reasons why investing directly in companies is a better strategy over time. Index Fund might charge a small fee, but compounding this fee over time will have a pernicious effect. Also, an index like the NASDAQ include companies that are not apt for the long-term strategy. In order to select which companies are apt to invest for the long term, there are some metrics that we need to understand. It is easier than it sounds, and you do not need to be a financial genius to do it. Everybody can benefit from the long-term investment with patience and determination to learn. In the upcoming article, I will present some of those metrics and how you can determine if a company is in a good moment to be bought, and if the company is apt for the long-term. I write my thoughts about Software Engineering and life in general on my Twitter account. If you have liked this article or it did help you, feel free to share it, ♥ it and/or leave a comment. This is the currency that fuels amateur writers.